Pearly-white beaches, pristine waters and a relaxed Caribbean atmosphere make Antigua a dream destination for a tropical holiday. Browse our range of 3-star hotels and get ready for a sensational escape. 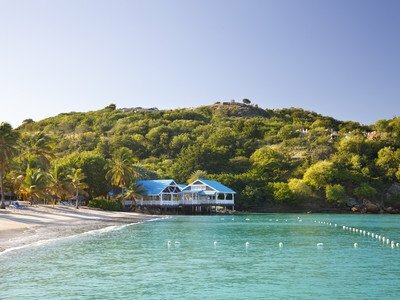 Immerse yourself in the tropical delights of Antigua with a phenomenal 4-star escape to this stunning Caribbean island. We have an array of hotels and resort on offer to suit all holiday needs. Pure tropical luxury awaits on the paradise shores of Antigua. Take a look at our 5-star resorts and hotels and start planning your dream Caribbean holiday today. Situated in the West Indies section of the Caribbean, the small island of Antigua was a British colony until 1981, which is why a lot of its culture and architecture has British influence. The island of Antigua is actually the largest of the twin-island country of Antigua and Barbuda, which has a population of just over eighty thousand. It’s little wonder that tourism is the main contributor to the economy of Antigua. With long white beaches, a sub tropical climate and welcoming locals, the island is becoming an increasingly popular location for travellers and holidaymakers looking to explore and soak up the glorious Caribbean sunshine. 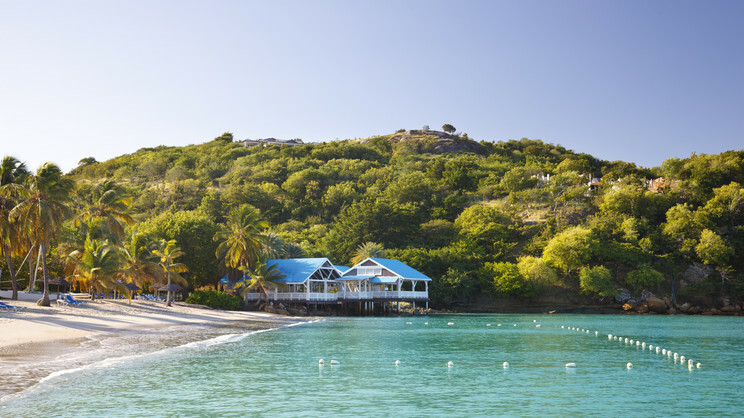 Flights: You can fly to Antigua directly from two UK airports, London Gatwick and Manchester. Packing essentials: Antigua has great weather throughout the year, with heat and humidity always a factor. It’s worth packing light, cool clothing and wearing plenty of sun protection. You’ll find a slightly cooler dry season from January to April, with June to November generally classed as the rainy season, so pack accordingly. There are a number of different areas to explore on the island of Antigua. English Harbour is located in the south of the island. This is a place full of history dating from when Antigua was a British colony. Visit the historic Fort Berkeley, which was used to defend the harbour in the seventeen and eighteen hundreds. Perhaps the most famous attraction of English Harbour is Nelson’s Dockyard – a cultural heritage site where you can see historical pieces from the dockyard’s colourful history. The capital city of Antigua is St John’s, which has a population of around twenty-two thousand. Here you can visit the famous Museum of Antigua and Barbuda, which allows you to experience ten thousand years of Antigua’s spectacular history. Once you have learnt all about the island, why not head over to the public market where you can buy a vast array of traditional Caribbean fruits and vegetables, as well as browse some unique boutique style shops. There is also a large arts and crafts market for you to explore nearby. If you would like to see some stunning architecture during your stay, then you must head across to the St John’s Cathedral Devine, which was first built in 1681 before being rebuilt in 1720. As Antigua is so close the equator, the temperature remains consistently warm throughout the year with an average of around 27 degrees Celcius. The island does not experience summers or winters but has wet and dry seasons. The best time to visit Antigua is from December to August as this is the time when you are least likely to be caught in a tropical downpour. You want to experience a tropical island paradise that is rich in history and culture. Antigua is typically Caribbean in the fact it has some of the best beaches you’re ever likely to see. Dickenson Bay is by far the most popular and busiest, with most of the island’s big hotel resorts situated next to the mile-long strip of pristine golden sand. 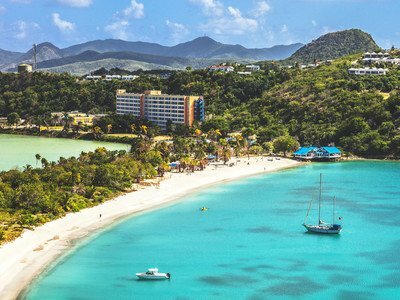 Almost all holidaymakers will be familiar with Dickenson Bay, with locals also visiting in big numbers due to the number of food and drink venues. There are also plenty of water sports to enjoy here, whether it’s banana boat rides, jet skiing or just a good old-fashioned boat trip. For a more family-oriented feel, head to Falmouth Harbour where you’ll find Pigeon Point Beach. The shallow waters make it perfect for younger visitors. This is the main public beach, so expect it to fill up on weekends and public holidays for obvious reasons, but the weekdays should be quieter. True thrill-seekers will probably be best heading up north to Jabberwock Beach. The high winds offer great wind and kitesurfing opportunities. Finally, if it’s a secluded and romantic spot you’re after, Half Moon Bay is the place to go. Be warned, the terrain to get to the beach can be difficult, so the location east of Freetown may be best via taxi. Once here you’ll find stunning secluded sands. Locals sometimes make the trip, as do island tours, but barring that, you’ll have one amazing beach all to yourself. 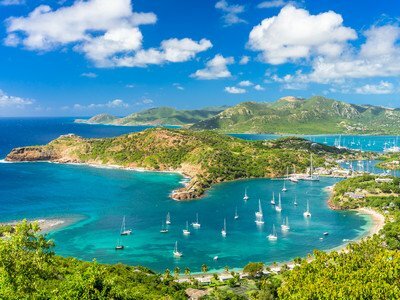 It wouldn’t be the Caribbean without plenty of lavish boats, yachts and cruises, but Antigua can go one better with their famous sailing week – the Caribbean’s best yachting regatta. Visitors come from afar to experience this week and it’s a real spectacle if you happen to be on the island at the same time. Over 5,000 visitors on average per annum, and around 200 yachts of all classes join up for seven days of events and parties. Find five days of high-octane racing, a round-the-island race and even a Guadeloupe to Antigua race. The event usually takes place between late April and early May. To celebrate the island’s independence in 1981, a huge day of celebrations are pencilled in for the 1st November each year. Imagine steel drums, fantastic food, dancing and drinking throughout, with the traditional colours of the flag – black, red, blue and yellow absolute everywhere you look. All visitors are welcome and the event is free to attend. Like most of the neighbouring Caribbean countries, Antigua has its very own carnival. This one, however, has extra importance to the residents, as late July/early August when the festival falls on is also when slavery ended back in 1834. Vibrant costumes are expected, calypso music is a must, and dancing – well that’s a given.